Alis volat propriis is a gorgeous and inspiring Latin phrase that translates “she flies with her own wings.” I truly believe we as individuals are meant to see, be, and do great things…but we are often prevented from realizing our potential because there are people who devote endless amounts of time and energy to breaking the wings of others or stifling their flight. I don’t understand this. I truly can’t comprehend why people would want to hurt others or even wish ill will on them. The simple truth is, there are people out there who either simply don’t know how to be happy for others, perhaps because they themselves have experienced great hurt in their own lives and merely continue the cycle. Some lovely, beautiful spirits get completely crushed and broken under the weight of hurtful words and actions of these kinds of people. What a true tragedy, because the body heals faster then the heart ever will. On the flip side, sometimes we rely far too greatly on others, and we never reach a state of peaceful independence. While we need healthy encouragement and support from others, we must find it within to be enough, in and of ourselves. We must learn to find our own strength, trust our own instincts, and spread our own wings to fly. 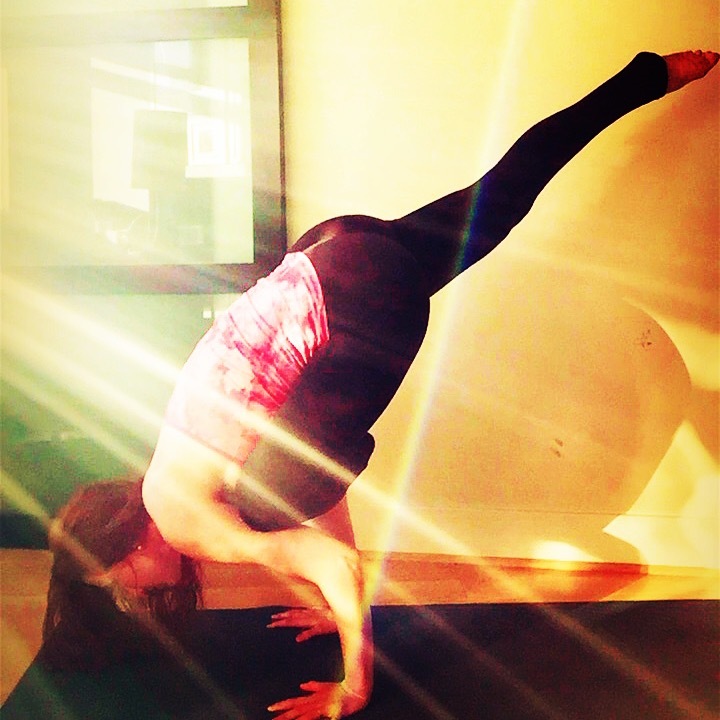 I love arm balances because they’re as much a mental challenge as a physical one (and trust…they’re a great workout!) As yogini’s learn arm balances, one of the biggest hurdles is facing the fear of failing and falling flat on our faces—literally. It can be an act that causes great trepidation to say the least. We conquer this by establishing a good physical foundation and create strong contact points with our body so we don’t get wobbly. We set a steady gaze ahead of us, and pull from our core strength to launch into flight. Isn’t this a profound parallel to soaring in life? We can reach our goals if we build a solid foundation and support system, set our intention ahead of us, and dig deep from within to find what it takes to soar. And while we’re learning to fly, let’s do all we can to help encourage those around us. When we look at others, let’s have hearts filled with good-will and good intentions. To do anything else is to clip our own wings. Do not let life, circumstances, or people break your wings. Joy is ours for the taking, and we can find it in all things.